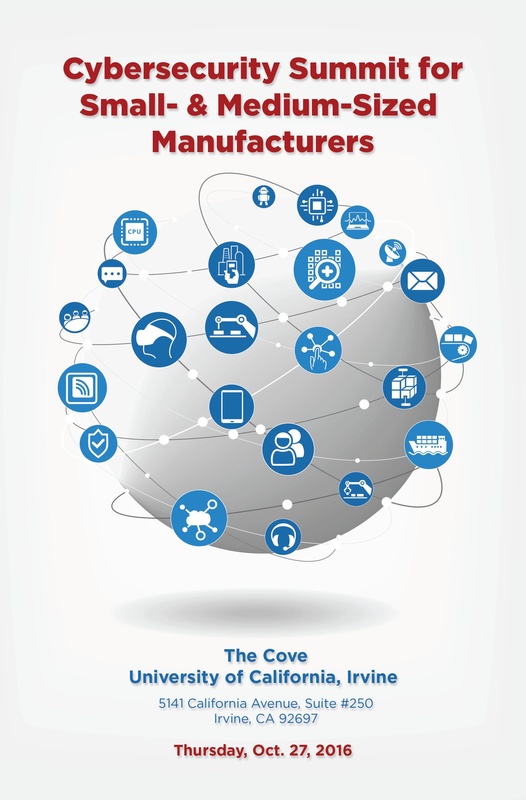 The 4th annual CNMI Manufacturing Conference titled "Cybersecurity Summit for Small & Medium-Sized Manufacturers" took place October 27, 2016 at The Cove - University of California Irvine (UCI). The one-day summit consisted of four panels which focused on raising awareness of the threats that cyber attacks pose to small and mid-sized manufacturers and to inform manufacturers of the importance of implementing cybersecurity measures. Panelists and moderators represented a variety of industry segments and knowledge. We are happy to offer the conference's slide presentations available to you for download. *Please note: Not all panel discussions provided presentations.